Judge consolidates Wright Conserve hip replacements into MDL | Consumer Drug Report | For Informed Drug Consumers. Several consumers who had Wright Conserve hip replacement surgery have filed product liability lawsuits against Wright Medical Technology, Inc. All federal lawsuits will be transferred to one judge for multidistrict litigation (MDL) as ordered by a panel of federal judges. On February 8, 2011, the U.S. Judicial Panel on Multidistrict Litigation chose William S. Duffey Jr. of the U.S. District Court for the Northern District of Georgia to oversee all defective hip replacement lawsuits filed against Wright Medical Technology, Inc. 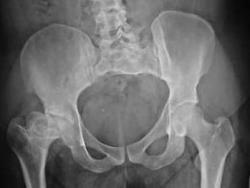 The Food and Drug Administration approved the use of hip replacements in November of 2009. The Wright Conserve hip replacement system was approved through the FDA’s 510(k) program, which allows companies to market similar products without patient testing. Shortly after the hip replacement was approved, the FDA received more than 200 reports alleging negative events that occurred after having hip replacement surgery. According to claims reported to the FDA, metal parts of the acetabular cup have the tendency to rub against each other and shed metal particles into the body, which causes the device to loosen and fail. It also causes metallic debris to build up in the body’s soft tissues, which causes an increased cancer risk. Currently, the judicial panel’s decision will affect four lawsuits filed in Arizona, California, Georgia, and Utah. However, another 16 cases filed throughout the U.S. could be added. Many more lawsuits may be filed against Wright Medical Technology, Inc. as defective hip replacement attorneys continue to investigate and review potential cases.